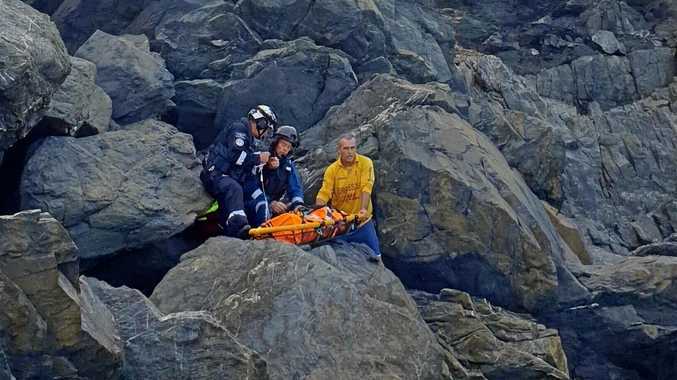 A TEENAGER who feel from the cliff face of Cape Byron last month is expected to recover. While there's long way to go before the 15-year-old Connor is back on his feet, his mother Kim Goddrick said she was hopeful her son would make a full recovery. The boy, who fell while walking up "goat track" towards the lighthouse from Tallow Beach in late March, was taken to Gold Coast University Hospital in a critical condition by Westpac Life Saver Helicopter. But on Sunday the Goodrick family received the news that the boy's condition was improving. "Our 15-year-old son who fell off the cliff at Cape Byron two weeks ago is being completely disconnected from all IV hook ups, and will be moved to the Paediatric Ward and Rehab, probably in Brisbane, in the next few days," Ms Goodrick wrote on social media. "This is such incredible progress, we can hardly believe it ourselves. "Our son came off the ventilator and is now intermittently talking and thanking the incredible nurses that work in ICU at the Gold Coast University Hospital. "Luckily, he can't remember the accident, and is now resting. "I would like to thank the Doctor, Paramedic, Pilot and whole team of the Westpac Helicopter Service based in Lismore NSW. Without their incredible response and skills, our darling son wouldn't be alive today." It is expected Connor will move to Brisbane Children's Hospital to carry out "intense rehab". "He is doing incredibly well physically, but will need rehab for his significant brain injury, but we and the doctors are all hopeful of some recovery," Ms Goodrick said. Ms Goodrick said her family felt incredibly grateful for the support from the community groups, businesses and organisations that have helped them during this hard time. "We are also planning on getting bravery awards for the fishermen Chris Keevers and Adrian Miller who kept Connor safe after he fell," Ms Goodrick said. 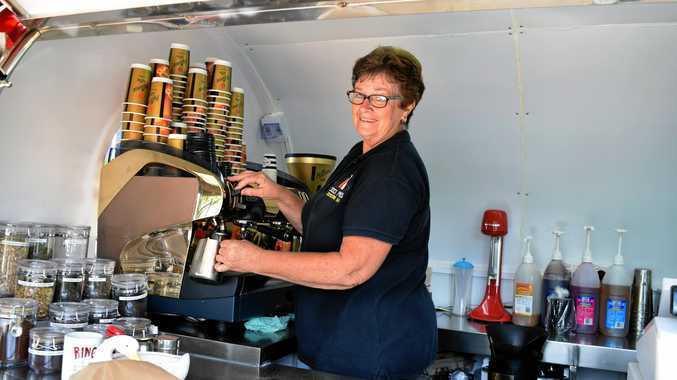 "We are also going to do a raffle with prizes donated by local businesses to raise funds to help replace the Volunteer Rescue Association's equipment which is due for an upgrade. The family have also been campaigning for signage to be erected along the path where Connor fell from to prevent future accidents. "Temporary yellow hazard warning signs have been erected at Tallow Beach and permanent signs with mapping and international symbols for do not climb will be erected when produced," Ms Goodrick said.